Magsafe port coating worn away Macbook pro 13"
The plastic coating of my (mid 2010, 13 inch) Macbook Pro's Magsafe charging port has almost completely worn away over time, exposing some kind of shiny metal surface beneath. How important is this coating? Is this a fire hazard or a risk to my laptop? and the inability for the MagSafe connector to power the computer. 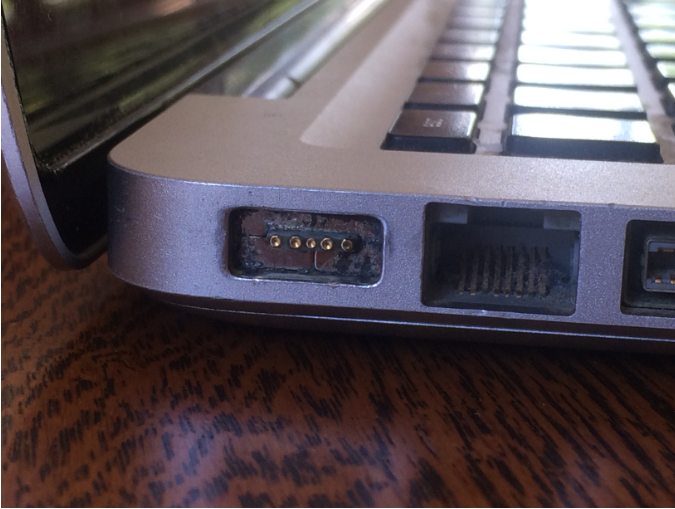 A cure may be to inquire about the cost of replacement, of the MagSafe DC-in Board. to attempt a repair replacement of this part; or to diagnose then get the correct part. 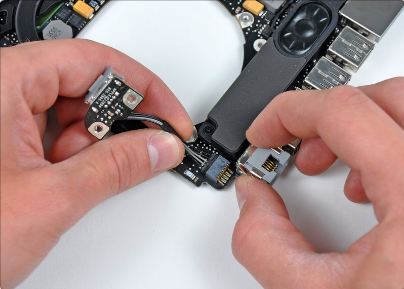 This part is referenced in the iFixit.com repair guides for macbook/pro, online. 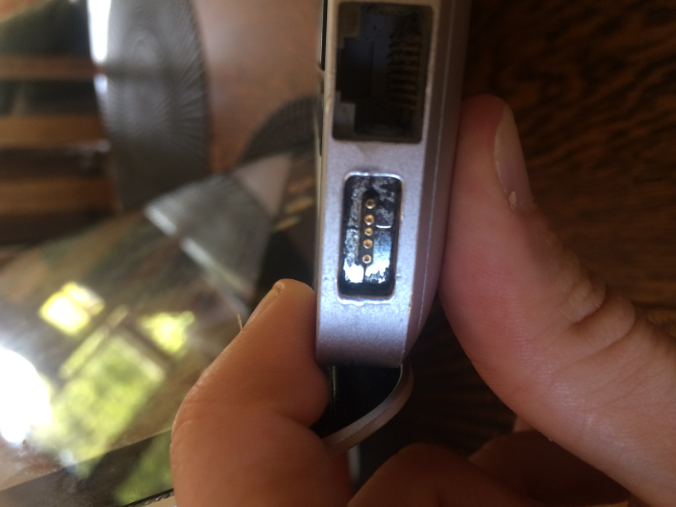 The cure would appear to be, replace the MagSafe port assembly in the computer. with an appointment; however the unit is probably too old for them to offer repairs. The coating is just cosmetic and surface protection for the magnets (and they do rust since made of iron). The insulation (plastic) around the pins is important and it still looks ok to me. There is no fire or short danger, but you might want to re-coat the magnets surface to prevent corrosion, since you are obviously in some high air pollution (corrosion) area.